Ooooo, I love your eye! loads of great texture going on, too. hey gorgeous, come back and join the la calaca love fest! Love this - the colors and the composition are simply beautiful! 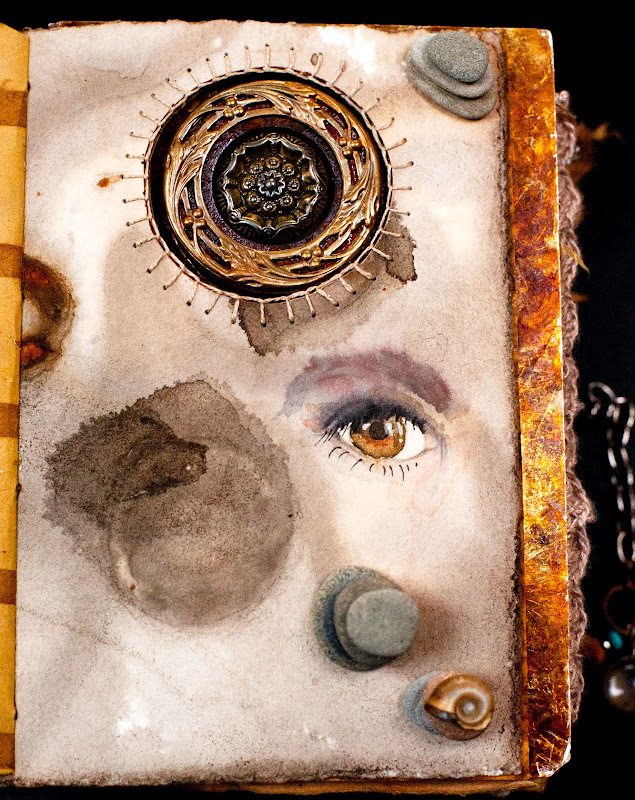 Your rusty fall pages and journal cover are lovely Leslie! This fall is getting away from me, but no complaints as I just hung my show at the Museum and am over the top thrilled! Longing to get crafty in fall.....and in spring too. Oh my gosh, I am in love with this rusty page, it is so mysterious with the gazing brown eye! You have been so busy Leslie. All of your work is gorgeous!